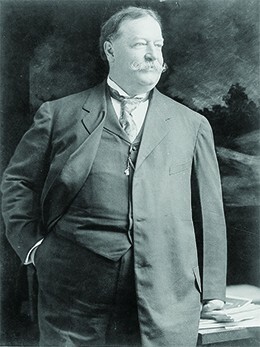 When William Howard Taft became president in 1909, he chose to adapt Roosevelt’s foreign policy philosophy to one that reflected American economic power at the time. In what became known as “dollar diplomacy,” Taft announced his decision to “substitute dollars for bullets” in an effort to use foreign policy to secure markets and opportunities for American businessmen. Not unlike Roosevelt’s threat of force, Taft used the threat of American economic clout to coerce countries into agreements to benefit the United States. Although William Howard Taft was Theodore Roosevelt’s hand-picked successor to the presidency, he was less inclined to use Roosevelt’s “big stick,” choosing instead to use the economic might of the United States to influence foreign affairs.